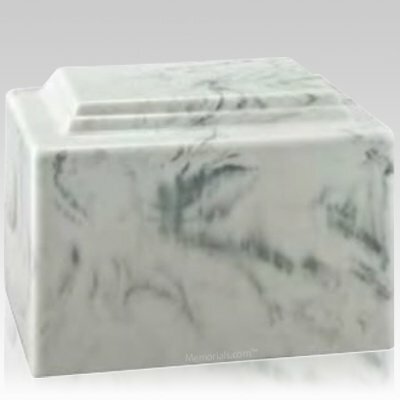 The Amity Blanc Marble Cremation Urn is made from cultured marble, a very resistant yet proper material. The urn's simple design is accented by magnificent swirling colors. This beautiful urn will make a peaceful and dignified resting place for your loved one. "The flag case and the medal case are of superior quality and I and my family are very pleased. My husband would be so proud of these displays. The color of the wood and the craftsmanship is excellent. To me, worth every penny of the price."